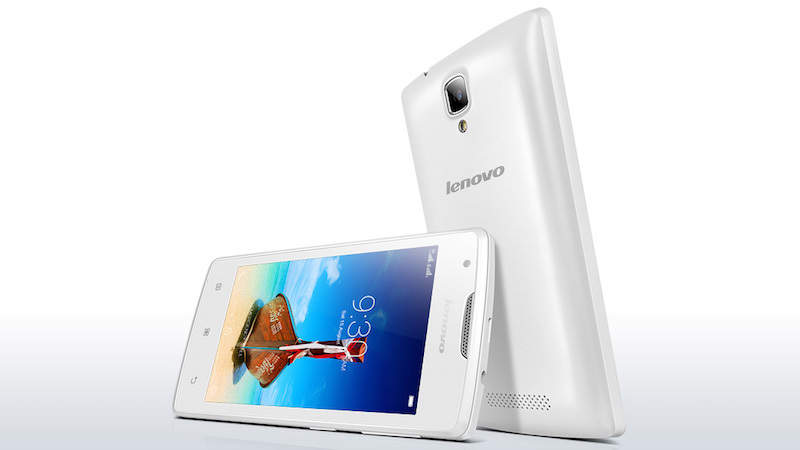 Lenovo on Tuesday launched three new smartphones in India - the A1000, the A6000 Shot, and the K3 Note Music. All the three handsets will be available for sale through retail outlets in the country in the last week of October. With the [/url]Lenovo A1000, the Chinese smartphone manufacturer bolsters its presence in the low-budget smartphone market. The Lenovo A1000 offers very similar specifications as the Lenovo A2010 which was launched earlier this year except for the support for LTE connectivity. The [url=http://gadgets.ndtv.com/mobiles/lenovo-phones]Lenovo A1000 sports a 4-inch WVGA (480x800) TFT-TN display. It is powered by Spreadtrum SC7731 quad-core SoC clocked at 1.3GHz and Adreno Mail400 MP2 GPU, paired with 1GB of RAM and 8GB internal storage which can be expanded via microSD card (up to 32GB) should you need more storage. It comes with a 5-megapixel primary camera, and a VGA shooter placed upfront. The dual-SIM capable A1000 supports 3G, Wi-Fi, and Bluetooth 4.0. On the software side, the handset runs Android 5.0 Lollipop. The handset comes with 2050mAh battery, which according to the company will last for up to 9 hours on a single charge. Available in Onyx Black and Pearl White, the Lenovo A1000 is priced at Rs. 4,999. The Lenovo A6000 Shot is similar to the Lenovo A6000 launched earlier this year, but as its name suggests, offers some substantial camera improvements. It sports a 5-inch HD (720x1280) display. It is powered by Qualcomm's Snapdragon 410 quad-core SoC clocked at 1.2GHz, coupled with Adreno 306 GPU, 2GB of RAM, and 16GB of internal storage that can be expanded using a microSD card. The main attraction of the A6000 Shot are its camera sensors. It comes with a 13-megapixel rear autofocus camera with and LED flash, and a 5-megapixel front-facing camera (compared to 8-megapixel and 2-megapixel sensors combination on the A6000). On the software side, the Lenovo A6000 runs Android 5.0 Lollipop out-of-the-box. The dual-SIM capable Lenovo A6000 Shot supports 4G Indian LTE bands, 3G, Wi-Fi, Bluetooth 4.0 and other connectivity options. The Lenovo A6000 Shot comes in Onyx Black, Pearl White, and Carmine Red colour options and is priced at Rs. 9,999. 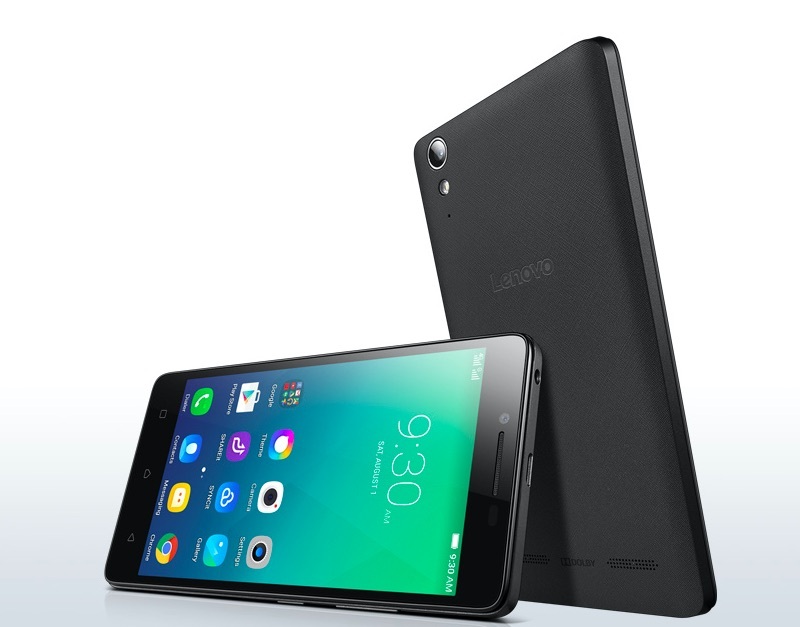 The Lenovo K3 Note Music is largely identical to the K3 Note, which the company had launched earlier this year. It does, however, come with better speakers and sound technology. The company says that the K3 Note Music is the world's first handset to come with AnyWoofer technology. The handset comes with Dolby Atmos audio, and ceramic speakers. The Android 5.0 Lollipop-based K3 Note Music sports a 5.5-inch FHD (1920x1080) display with 178-degree wide viewing angle. It is powered by MediaTek MT6752 octa-core 1.7GHz SoC with Adreno Mali-T760 MP2 GPU coupled with 2GB of RAM, and 16GB internal storage that can be expanded via microSD card (up to 32GB). The dual-SIM capable Lenovo K3 Note Music supports 4G LTE Indian bands on both the SIM slots. It comes with a 3000mAh battery. On the camera front, it sports the same 13-megapixel rear shooter and 5-megapixel sensor upfront as the K3 Note. The Lenovo K3 Note Music edition comes in Pearl White, Onyx Black, and Laser Yellow colour options and is priced at Rs. 12,999. All these handsets will be available for purchase from brick and mortar retail stores later this month.